Unless otherwise indicated, all Scripture references are from the Holy Bible: New International Version, © 1984, International Bible Society. Muslims form the largest bloc of unreached people in our world today. Missiologists estimate that one out of every five people on earth— more than 1.2 billion— now ascribe to the Islamic faith. Therefore they conclude that the premier task of the Church today is to give an effective witness for Jesus Christ to these lost souls. The purpose of this booklet is to help you better understand Muslims and teach you ways to effectively share your faith with them. I shall be drawing upon some basic truths from Scripture and personal experience. I pray that both will be helpful to you. To fulfill this purpose we must realize that MUSLIMS ARE PEOPLE! The following statement was made to newspaper reporters by one of the hostages when he was finally released after a TWA hijacking episode in Beirut. “To my surprise,” he declared, “I found that these people had all of the emotions that ordinary people have— fear, love and the desire to succeed.” His statement reminded me of my own experience some years ago when I was speaking at a mission conference overseas. In the hotel where we were staying was a group of Chinese from mainland China who had come to help the people of that country build a railroad. Dressed alike in their Mao uniforms, I viewed them as robots — machines — or something a little less than human. That night the Spirit of the Lord convicted me of these thoughts. He showed me how human these people were. Most of them, no doubt, had wives and children at home who were lonesome for their husbands and fathers. Here were lonely husbands and fathers who faced the challenges of being in a foreign land and dealing with a foreign culture. These people had all the basic needs of every human being— and God revealed to me their special need to find peace with Him. The next day I determined to make friends with them. Although we could not communicate in a common verbal language, we were soon using non-verbal signs and heart language. As I showed them pictures of my wife and children, they responded by showing me pictures of those they loved. Quickly I realized that people are the same worldwide. Often the media distorts the truth, however, and we form misconceptions of people in other cultures. One thing we must understand if we are to love, pray for, and witness to Muslim people— as well as to all humankind— is that they are all human beings! Yes, MUSLIMS ARE PEOPLE! Second, we need to be conscious of the fact that MUSLIMS ARE SINCERE PEOPLE! Because of events in the Middle East in recent years, we often think of Muslims as people who go around with hate in their eyes, brandishing guns and crying out slogans against the Western world. Or we may see them as exorbitantly wealthy Arab sheiks, driving expensive cars. Actually, less than 20 percent of the total Muslim population are found in the Middle East. The largest concentration of Muslims is in Southern Asia— where over 300 million live in 5 Pakistan, India and Bangladesh. Indonesia has the largest concentration of any country in the world— with approximately 156 million Muslims. Half of Africa’s people claims allegiance to Islam, and about 50 million Muslims live in Central Asia. Thus, most Muslims are not of Arabic origin. They are scattered throughout the world. It should also be noted that only a small percentage of Muslims who live in the Middle East are involved in terrorism. Most Muslims are as saddened as we are when they see the terrible lawlessness and wanton killings perpetrated by their fellow countrymen. Yet, they are totally helpless and unable to do anything about it. Many have personally suffered the loss of property and the death of family members because of terrorism. We certainly need to remember these dear people in our prayers. The Bible tells us to pray even for our enemies. Thus, we should learn to love and to pray for those who hate us and express their hatred in horrible acts of terrorism. Remember, genuine love and sincere prayers are far more powerful weapons against the power of Satan than guns and explosive devices! Third, we need to realize that MUSLlMS ARE A PEOPLE OF COMMUNITY! Islam is more than just a religion. It is a “law” which governs an individual’s culture and touches every facet of life— personal, social, economic, religious and political. Islamic teachings create an awareness of the duties of each Muslim in all of these areas of his or her life. A Muslim belongs to a close-knit community in which he functions as a member. From birth to death, he lives a life related to other members of his community. This is one reason why it is so difficult for a Muslim to become a Christian. To detach oneself from one’s community is like cutting off a member of one’s own body. One Muslim remarked that it is almost like committing suicide. When a Muslim becomes a Christian, it often means being cut out of the community and being driven away from home— leaving not only father and mother, but many times husband or wife and children. According to Islamic law, the penalty for defecting from the faith is death. This sometimes happens to those who choose Christ. How important it is for us to pray that the entire family— the entire community— will come to Christ. The only thing that will keep the individual from being isolated from his community is God’s divine intervention on his behalf. Fourth, Christians should be aware that MUSLIMS ARE PEOPLE WHO SEEK AFTER GOD! There are five pillars on which the Islamic religion is founded. Each of these “foundations” shows the tremendous dedication and the deep religious convictions of these people. All Muslims must declare that there is no God but Allah, and that Muhammad is his prophet. Strict laws are set concerning how much a Muslim must give in alms each year. He must give between 2 ½ to 10 percent of his capital, not just of his income. It is mandatory that every Muslim man make the pilgrimage to Mecca at least once in his lifetime unless ill health, extreme poverty or other serious problems make it impossible. Prayer is an important part of this trip. After making this hajj, the men are given the title of hajji. This title gives them added merit for entering into paradise. Yes, Muslims are people who are seeking after God. Three of their five religious pillars involve spiritual communication toward God, as fasting and alms-giving are also forms of prayer. We certainly can admire Muslims for their consistency in ritual praying. But we must be absolutely clear in our understanding of what prayer really is. Many prayers— even those by some Christians— are not heard because, as Isaiah said in chapter 59: “Your iniquities have separated you from your God; your sins have hidden His face from you, so that He will not hear.” However, in James 5:16 we read: “The prayer of a righteous man is powerful and effective.” The key word here is “righteous.” Romans 5:17 teaches us that righteousness is a gift from God through Jesus Christ and cannot be earned. Will you do two things right now— even before reading on? First, would you thank God for Jesus Christ and His righteousness, and that He has made a new and living way unto God (Hebrews 10:19-22)? Let us humbly express a deep appreciation that we have access to God’s holy presence through prayer. Second, will you earnestly intercede for our Muslim friends, that they too will find Jesus Christ as their personal Savior— the promised Messiah— so that their prayers will be heard? Finally, we must be conscious of the fact that MUSLIMS ARE PEOPLE WHO ARE LOST! Perhaps it would be well to state at this time that many so-called “Christians” are people who are lost— dying without Christ. America is often called a “Christian” nation, but I am afraid that we have come under the judgment of God. Unless we repent of our terrible sins, I fear what will come upon this land. One day I was called in to see the president of the country where I had applied for a visa for one of our missionaries. This leader of millions of people challenged me when he said “You Christians in America have nothing to offer my people.” He went on to describe drinking and gambling parties in the churches of America. How accurate he was when he listed the 11 conditions in “Christian” America — homosexuality, drug addiction, divorce and rampant crime. See Is It Too Late For America? After about 20 minutes, I had an opportunity to respond. I confessed that America is no longer the Christian nation it once was, but I explained that God does have a remnant of true followers of Jesus Christ. These followers live pure and holy lives, and we do, indeed, have something to offer to the people of the world. Much of the world— and Muslims in particular— consider America “lost.” The truth is that all men without Jesus Christ, regardless of how religious they may be, are lost. The good news is that Jesus Christ came “to seek and to save what was lost” (Luke 19:10). The Lord brought this fact home to me one Friday as I went to an Islamic mosque to pray. I found about 500 devout men praying in the mosque, and as I witnessed their fervency, I began to pray, “Oh God, is it necessary to bring the gospel to these people who are seeking You so earnestly?” I shall never forget the answer He gave me. It was like fire in my soul. God took His finger and wrote three words indelibly across my conscious mind: “TO EVERY CREATURE.” Of course I recognized these words recorded in Mark 16:15 (KJV), where Jesus commissioned His followers to take the gospel to every creature. May God help us understand the doctrine of redemption— the doctrine of the lostness of man. Now that you have some understanding about Islam, let us look at effective ways you can SHARE YOUR FAITH WITH A MUSLIM. A superintendent of a national church recently said to me, “Teach our people to witness to Muslims.” All over the world Christians are awakening to the need to put arms of love around Muslims and bring them into the full reality of Jesus Christ. The question we hear most frequently is, “How can we do it?” I believe that the Bible gives us several fundamental rules we must follow to reach the lost of our world. On the next few pages I will list six practical steps you can use in witnessing to Muslims. Prayer is the first and most fundamental ingredient in witnessing to all people— including Muslims. When we have demonstrated to them that we are godly people who pray, barriers are broken down and they are ready to listen. This was clearly demonstrated to me as I was witnessing to a particular Muslim a few years ago. He had all the barriers up, but because he had been closely observing my life for over ten years, he knew that God had priority in my life. Thus, when I told him, “I’m praying for you,” he knew it was true. There was a visible melting away of the barriers, and before long he opened his heart to a clear witness. “If my people, who are called by my name, will humble themselves and pray and seek my face and turn from their wicked ways, then will I hear from heaven and will forgive their sin and will heal their land” (2 Chronicles 7:14). 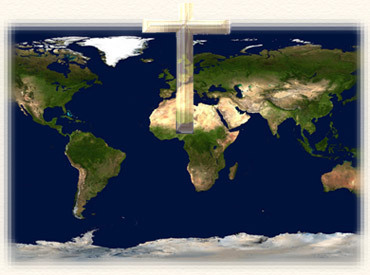 Please join me in humbly confessing our sin and crying out to God for the lost of this world! One day I felt a deep burden to witness to a friend who is a devout Hindu. Yet I was at a loss to know how to witness to such a good, kind and religious man. He and his brothers had, through honesty and hard work, built one of the most prosperous businesses in their large city. Every morning they would pray 20 minutes, and every evening— together with their entire extended family— they would again pray. I desperately wanted to talk to him of my personal relationship with God, so I began to pray. Others joined me in prayer. One day my Hindu friend came to me and said, “Please, I must have an appointment with you. I need spiritual help.” What a joy it was to see God open the door so beautifully. He is now reading the Bible and has testified of a new faith in God. What happened to this Hindu can happen to a Muslim or any person who is lost if we are sincere in our prayers. Prayer is the first pillar of witnessing. It will open doors and hearts as nothing else will! There are between 6 and 8 million Muslims in the United States. What an impact we could have on the Muslim world if we would put 1 Corinthians chapter 13 into practice right here in America! Is our witness as “a clanging cymbal?” Is it so much noise that the true message cannot be heard? True love is often expressed in hospitality. As we open our hearts and homes in genuine love, we begin to break down cultural barriers that often hinder our attempt at witnessing. The mark of the Early Church was its hospitality. Genuine love gives without any thought of return. Someone has said that what we need is “friendship evangelism.” Many Muslims living in the States are lonely. They are living in a foreign culture, having left their families and friends overseas. There is a vacuum in their lives. Thousands of Muslims are students in this country. They are the leaders of tomorrow in their homelands. Often they come from countries where there is little witness of Christ. Muslim businessmen constantly visit this country. Many others come for medical help or other reasons. I think it is important to understand that there are vast differences in the commitment of Muslims to their faith just as there are vast differences among Christians. Many Muslims have become westernized. Others are what we would call “nominal” Muslims. They are not practicing their religion, but are ready to defend it if challenged. Others are very devout— we would say they are “fanatical fundamentalists.” There are also many who are true seekers of peace with God just as Cornelius was as recorded in Acts 10. The good news is that God loved the world so much that He gave Jesus Christ to be our Savior, that whoever believes on Him should be saved— whether that individual is fanatical, nominal or secular. This great love of God can often be demonstrated only through our lives— through our love! Love one another. AS I HAVE LOVED YOU, so you must love one another.” He further said, “By this all men will know that you are my disciples....” It is almost incomprehensible to think that it is possible to love like that. Yet, when we read the history of the Early Church, we see this quality of love. The result was that all of Asia Minor— indeed the entire Roman Empire— came to know that they were His disciples. Here, surely, is a key to witnessing to Muslims, both in the United States and around the world: Love them as Jesus loves us. Ask the Holy Spirit to help you find the key to their hearts. It will take much of your “valuable” time, but a soul is of inestimable value. Giving of your time, of yourself, will involve sacrifice. Yet, there really is no sacrifice involved when true love is present. You must give your SELF to your Muslim friend— not just the gospel! Oh Heavenly Father, we confess our sin of selfishness. We have not shown the true spirit of Jesus Christ— the spirit of love. We confess that we cannot do this by ourselves, but by the help of Your Holy Spirit we will deny ourselves and allow the beauty of Your love to flow through us. Amen. 3. SHARE YOUR PERSONAL TESTIMONY. Your personal testimony is more powerful than an eloquent theological discourse. During the horrible days of Idi Amin’s regime in Uganda, I had a deep desire to witness to this very evil man who claimed to be a Muslim— but who, I’m sure, was an embarrassment to true Muslims. Even though I went to Kampala on several occasions and requested an audience with him, my requests were never granted. I usually stayed at Makarere University on these trips, and one afternoon I had an opportunity to meet and witness to a very learned, but agnostic, professor. I soon found that I could not give a true witness by trying to match his intellectual arguments. So I just began to tell him of my personal encounter with Jesus Christ when, as a young man, I prostrated myself in the alfalfa hay field on my father’s farm and asked Jesus to reveal himself to me. Your Muslim friend will also appreciate your sincere personal testimony. It will create a real hunger in his life for such a loving relationship with God. The negative side of “how to witness” is “how not to witness.” A cardinal rule is: Never become involved in arguments— especially theological ones! Nominal and even irreligious Muslims often become fanatical advocates of their faith when pushed by argument. The truth is: We have argued and debated for hundreds of years without success. Let us now become witnesses— not debaters! In sharing God’s love with your Muslim friend, you should never speak negatively about his religion, his holy book or his prophet. Don’t attack his beliefs. He is just as emotionally tied to his beliefs as you are to yours. You would not appreciate negative statements about Jesus. Instead, share in a positive way what Jesus has done for you and tell of your wonderful relationship with a loving heavenly Father. We confess our sin of pride and our self-righteousness, which causes us to be argumentative. Give us, Father, a daily renewal of our beautiful relationship and help us to share that relationship with our Muslim friends. Amen. First Peter 3:15 is a powerful verse for anyone who wants to be an effective witness. Muslims will ask questions and we must be ready to give an answer— as Peter said, “...in gentleness and respect.” This will require diligent study— not only of the Bible, but also of the Muslim faith. As a Christian, I have confidence in the message of Jesus Christ and am therefore free to examine all other religions without anxiety. I have found that a good way to open dialogue is to ask a Muslim to tell me about his religion— what he believes. Try to place yourself in the shoes of your friend. Remember to respect his culture and convictions. We are more a product of our culture than we realize. In witnessing it is important to understand that the Muslim has no cultural concept for the gospel. For this reason we should not become discouraged if there is no immediate response. Be patient with your Muslim friend. Continue to share the gospel with prayer and faith, knowing that the Holy Spirit can make the truths real to him. Remember that it is the work of the Holy Spirit to reveal Jesus Christ (John 16:8-14). Also, you should remember that dialogue is very important. So much of our witnessing is a monologue. In the Book of John we have a most poignant illustration of how Jesus used dialogue to witness to the Samaritan woman. Sometime during the process of giving the reason for the hope within us, it is vital to deal with the sin question and how we can receive forgiveness for our sins through Jesus Christ— the Sacrificial Lamb. No religion on the face of the earth deals with forgiveness of sins except Christianity. Only through our blessed Savior can sins be forgiven. [See Salvation] The concept of God as a loving heavenly Father is completely foreign to a Muslim. It is very difficult for him to comprehend that God loved us so much that He would give Jesus Christ to be our Savior; yet that is exactly what we must patiently show him. Show him from the Bible how God has provided a way whereby all sin can be forgiven, and every trace of guilt can be completely removed. This is a very powerful tool in witnessing. In this small booklet it is impossible to deal with the controversial points which Muslims will raise in dialogue, such as questions about the Trinity and the Cross. Suffice it to say, these must be answered carefully— and, as Peter said, “Our answer must be in meekness.” Then continue to witness with complete dependence on the Holy Spirit to guide you. Oh God, we thank You for Your Word which is a lamp to our feet, and for the blessed Holy Spirit who will guide us. Help us to be diligent in our study in order to be able to give a clear reason for the hope that is within us. Amen. I have a young Muslim friend who gave his life to Jesus Christ and later became a student in one of our Bible colleges. He had come from a very large, wealthy family, and he had had no contact with any Christian. He wanted to learn the trade language of his country and because he heard that the Bible was one of the best pieces of literature in that language, he purchased a copy. By the time he had read through the Gospels, he was convinced that Jesus Christ was the true way to God. He became a dedicated Christian at great personal sacrifice and persecution by his family. Remember, the Bible is powerful and should always be used as a witness. There are many good modern translations. A side-by-side English/Arabic rendition of the Living New Testament is available from the Center for Ministry to Muslims. The New International Version is both an excellent translation and the title “New International” helps convey the idea that the Bible is for everyone. A present of the Bible in your friend’s mother tongue would be treasured. By writing the International Bible Society, P.O. Box 62970, Colorado Springs, CO 80962-2970, or phoning 1 (800) 524-1588, you may be able to secure a Bible in his or her language. A mark of the dynamic growth of the Early Church was a holy boldness in witnessing, accompanied by the demonstration of the Holy Ghost. Certainly the believers were opposed, oppressed, and often imprisoned— yet that did not daunt their witness. One of the most dynamic verses on witnessing is found in Mark 16:20: “The disciples went out...the Lord worked with them and confirmed his word by the signs that accompanied it.” Friend, here is the key to reaching Muslims: As we go forth in faith, backed by prayer and a godly life, the Lord will work with us with signs and wonders. “You will be my witnesses” (Acts 1:8). This is a wonderful promise. Though we may feel shy, inexperienced, fearful or have many other emotions that would hinder us from witnessing to Muslims, the Holy Spirit stands ready to help us. However, we must step out in faith and begin to obey God and do what we are commanded to do. Satan wants us to believe that Muslims are unreachable and difficult to witness to. Yet Muslims are approachable people who wait for our loving, Spirit-anointed, prayerful witness. As we look at the Muslim world, may our hearts be moved with compassion. May we confess our sin of prayerlessness and carelessness and begin to do what is necessary so that they, too, may be saved. If the Lord has spoken to you and given you a burden concerning this— the largest bloc of unreached people on earth— please write to us. It will be such an encouragement to know you care, and we will be happy to send you our prayer bulletin, Intercede. This is the message we have heard from him and declare to you: God is light; in him there is no darkness at all. If we claim to have fellowship with him yet walk in the darkness, we lie and do not live by the truth. But if we walk in the light, as he is in the light, we have fellowship with one another, and the blood of Jesus, his Son, purifies us from all sin. If we claim to be without sin, we deceive ourselves and the truth is not in us. If we confess our sins, he is faithful and just and will forgive us our sins and purify us from all unrighteousness. 24 ou will be my witnesses” (Acts 1:8). This is a wonderful promise. Though we may feel shy, inexperienced, fearful or have many other emotions that would hinder us from witnessing to Muslims, the Holy Spirit stands ready to help us. However, we must step out in faith and begin to obey God and do what we are commanded to do. Satan wants us to believe that Muslims are unreachable and difficult to witness to. Yet Muslims are approachable people who wait for our loving, Spirit-anointed, prayerful witness. As we look at the Muslim world, may our hearts be moved with compassion. May we confess our sin of prayerlessness and carelessness and begin to do what is necessary so that they, too, may be saved. All rights reserved. No part of this publication may be reproduced, stored in a retrieval system, or transmitted, in any form or by any means, electronic, mechanical, photocopying, recording, or otherwise, without the prior written permission of the Center for Ministry to Muslims.